I have been appreciating colorful collage papers for decades, thanks in part to Eric Carle. While many famous artists create collages using found images from the greater media world, Eric Carle created his work with papers that he painted. Take a look at your copy (or your child’s copy) of The Very Hungry Caterpillar to see Carle’s genius in the use of pattern and color. With the exception of some old road and geological maps, everything I have been using in my monoprint collages comes from a monoprint itself. The image below shows a detail of a 24 x 36 inch monoprint collage I have been working on. With my exacto knife in one hand, and my paintbrush with matte medium in the other, small squares of other monoprints become part of a larger work. Detail of a large monoprint collage. 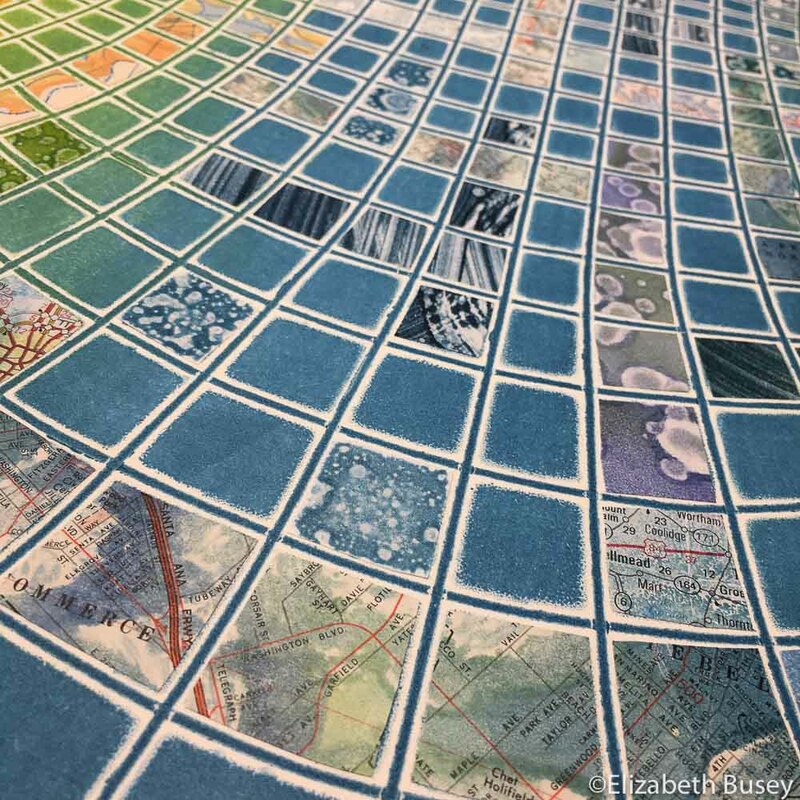 This entry was posted in Collage, Monoprinting, pattern and tagged collage, Eric Carle, maps, monoprint, squeegee on November 20, 2018 by Elizabeth Busey.